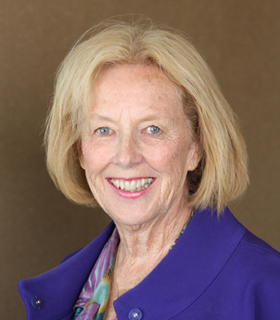 Roseann Knauer Bentley first became an agent of change when she chaired the Junior League of Springfield's committee that brought public television to the city in the early 1970s after only 16 months of courting the Public Broadcasting System. She went on to become JLS President. Roseann’s biggest impact, however, came in public office. She was the first woman elected to the Missouri State Senate from Southwest Missouri and also the first to serve on the Senate Finance Committee, which handles the state’s budget. She served in the Senate for eight years, the maximum allowed under term limits. Roseann also has been a long-time advocate for education. She served as president of the Springfield School Board, the Missouri State Board of Education, and the National Association of State Boards of Education, where she was honored to be asked to meet with President George H. W. Bush to consult on National Education Goals. She presently serves as a Greene County Commissioner. She has lent her leadership skills to the United Way of the Ozarks, the Community Foundation, the Mayor’s Commission for Children, the Community Partnership of the Ozarks, FACT (Families and Children Together), and the Coordinating Board for Early Childhood. Recognition for her accomplishments in public life has included the Springfieldian Award, the Hero for Kids Award, the Lifetime Achievement Award from the Missouri Arts Council, the Missouri Woman of Distinction Award, and the Humanitarian Award from the Community Foundation of the Ozarks.